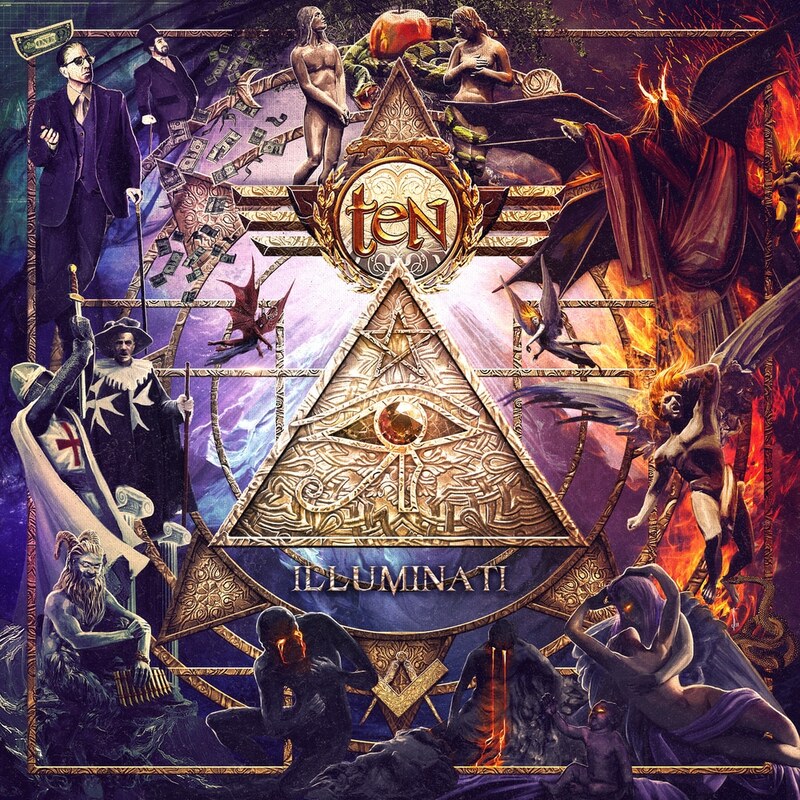 Hot on the heels of last year’s Gothica, UK hard rock stalwarts TEN are returning with a new album, Illuminati in 2018. The album promises to be one of the hallmarks of their 22+ years career, where fans will easily spot all the trademark textures and flavours they have come to expect from TEN, with a consistent and solid spark of creativity throughout. Illuminati continues to build upon the rich legacy that the great British rockers have established in their 20+ year career. Hughes is joined once again by guitarists Dann Rosingana, Steve Grocott and John Halliwell along with bass player Steve McKenna, keyboard maestro Darrel Treece-Birch, and drummer Max Yates. On their fourth outing as a collective unit, the musicians in TEN have raised the bar even higher than they had previously. The album is full of stunning guitar work over a rich keyboard, bass, and drum tapestry with Hughes’ rich vocals once again bringing the nuances of the intricate lyrics to life.